We all know the frustrations of air travel. Dealing with baggage is one of the biggest pain points for frequent flyers, especially for business travelers. Packing bags, getting to the airport early, hauling the bags around, waiting at the luggage carousel—the hassle and wasted time add more stress to an already full business trip. Wouldn’t it be great if someone else could manage your luggage for you? Imagine how relaxing that could be! The founders of DUFL imagined a better way to travel—and they turned that vision into a thriving service. 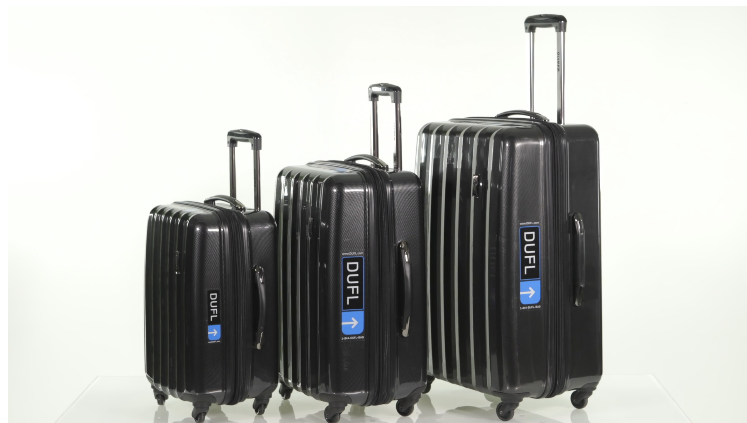 DUFL is the traveler’s personal luggage valet. Just send DUFL the items you normally take on the road with you, and DUFL will clean, inventory, photograph, and store those items in your DUFL closet. When you’re ready to travel, DUFL will pack your bag for you with items you’ve selected from your DUFL closet and ship the bag to your specified destination. When you’re ready to head home, the service will pick up your bag, clean your clothes, and store them for you until your next trip. Taking care of this time-consuming burden frees travelers to focus on the more important aspects of their trip. In addition, travelers can experience the freedom of sailing through the airport unencumbered. That’s not only relaxing, it’s downright pleasurable. When it came to manifesting the vision for DUFL, the company’s primary goal was to get the service up and running quickly. The team’s CTO had previous experience with the Heroku platform, and knew that it could support a rapid deployment process. Also, they knew that Heroku could support their preferred technology stack. In particular, they liked how Heroku integrates easily with AWS features. Taking advantage of the Heroku platform’s flexibility, DUFL designed a modular architecture that allows them to easily scale their stack horizontally. Over a dozen apps running on Heroku connect through different REST HTTP APIs, as well as leverage various Amazon services, such as S3, CloudFront, SQS, and Redshift. DUFL also runs their internal tools on Heroku. DUFL built their system in Node.js using the MEAN framework. They chose Heroku Add-on MongoDB as their database and used Ember to build their front-end web app. 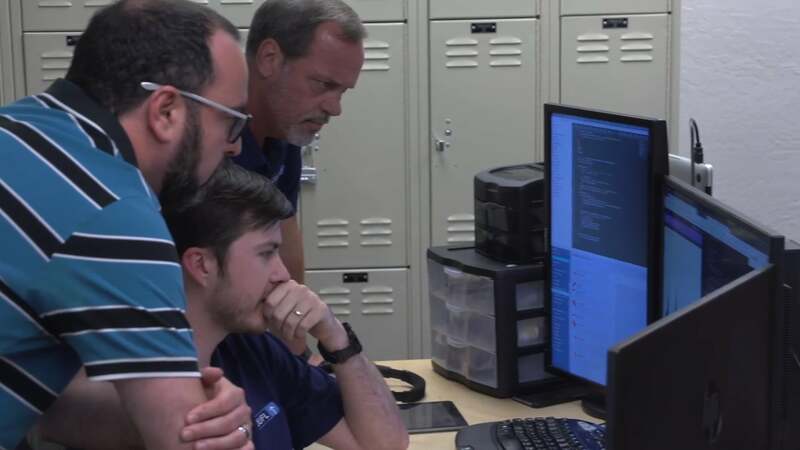 The team found that existing warehousing technologies didn’t fit with their model, so they wrote their own inventory management and logistics systems from the ground up. Using Heroku has made it possible to add other technologies to the stack very easily whenever appropriate. A couple of different API layers run on Heroku. DUFL’s native and web clients talk to their client API. They also run a singular service API that everything gets pushed to—one authority on the backend—which sends out change logs to their messaging bus. Different modular services listen in on the messaging bus to detect changes in state or events and react accordingly. One of the key modular services is called ‘Broadcaster’ that sends data to endpoints, such as Salesforce. DUFL uses several Salesforce products including the Salesforce Platform, Sales Cloud, Service Cloud, and Desk.com, and they customize their Salesforce instance using custom objects and Apex triggers. When it comes to deployment, DUFL uses Heroku’s GitHub integration exclusively. They maintain a clone staging environment in Heroku and leverage Heroku Pipelines and Review Apps before pushing to production using Heroku’s auto-deploy feature. For their web app, they use Travis CI as their continuous integration testing platform. DUFL rounded out their implementation using a couple of additional Heroku Add-ons, including New Relic APM to monitor their app, and Expedited SSL for quick set up of their SSL endpoints. DUFL launched in mid-2014 and their business has rapidly expanded. The company recently announced DUFL Sports, which serves travelers who take large sports equipment with them, such as skis, snowboards, or golf gear. For the engineering team, it’s now all about building scale. After registering with the service, DUFL sends customers a welcome kit including a big suitcase that they can load up with their travel clothing and supplies. DUFL then stores the customer’s clothing and baggage in their personal DUFL closet in the company’s offsite storage facility. Before a trip, a customer uses the DUFL app to enter their travel details and select the clothing items and toiletries that the want included in their bag. DUFL then handles the rest—DUFL staff will carefully pack the customer’s bag and transport it to the specified destination. When a customer is ready to head home, they use the DUFL app to schedule a bag pickup at their hotel. Again, DUFL handles the rest—transporting the bag back to DUFL’s facilities, cleaning the clothing per customer specifications, and returning them to their personal DUFL closet, ready for the next trip. DUFL is changing the rules of travel. Without a bag to worry about, travelers can enjoy a smoother, less stressful journey. Is your company building a highly personalized customer experience? DUFL chose to build their service on Heroku so they could take advantage of the platform’s flexibility and support for rapid deployment. For more information, contact Heroku today. DUFL is a premium travel service and personal valet that simplifies business travel by shipping, cleaning, and storing their customer’s business attire. DUFL is changing the rules of travel—rules like getting to the airport an hour early, paying extra to check a bag, having to wait at the baggage claim carousel, or having to worry about a bag at all. DUFL is headquartered in Tempe, AZ with offices in San Francisco, CA and Tokyo, Japan. For more information, visit: www.dufl.com.